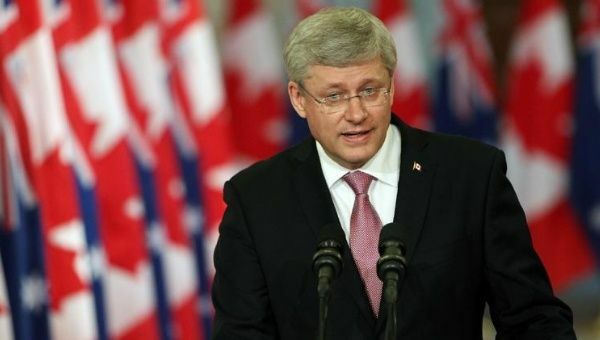 Canadian scientists working for the federal government assert Harper’s administration imposes communication restrictions. At least 800 scientists from more than 30 countries have signed an open letter addressed to the Canadian Prime Minister, Stephen Harper, urging him to restore science funding and to ease communication and collaboration restrictions imposed on federal government scientists. All the signatories are from outside Canada and assert that the letter is an effort to support their Canadian colleagues, who constantly accuse Harper’s administration of impeding them from sharing their research with foreign scientists. The letter was drafted by the Union of Concerned Scientists, a Massachusetts based group that advocates for environment sustainability and is being published in several Canadian newspapers and TV ads paid for by the Professional Institute of the Public Service of Canada (PIPSC), which represents more than 15,000 federal government scientists, according to CBC News. The signatories also assert that Harper’s administration has been cutting research funding. The PIPSC asserts that the Canadian government cut US$2.3 million from ministries and agencies related to science from 2003 to 2013. “We urge you to restore government science funding and the freedom and opportunities to communicate these findings internationally,” states the letter. Both Canadian and foreign scientists have accused Harper of denying climate change and cutting resources for the collection of data related to global warming which, according to scientists, is key information to understand the issue. As an example, the Climate Change Performance Index 2014 report states that Canada is the worst of the industrilized nations in fighting climate change. Canada got a score of 40.39 points. Denmark, who is at the top of the list, got 75 points. Canada “still shows no intention of moving forward with climate policy and therefore remains the worst performer of all [industrialized] countries,” states the report by Germanwatch and the Climate Action Network Europe. In its response to the letter, the Canadian government asserted that it is funding several research projects and that its scientists are free to share their work, but only with Canadians.